Full-time freelancers don’t have it easy. 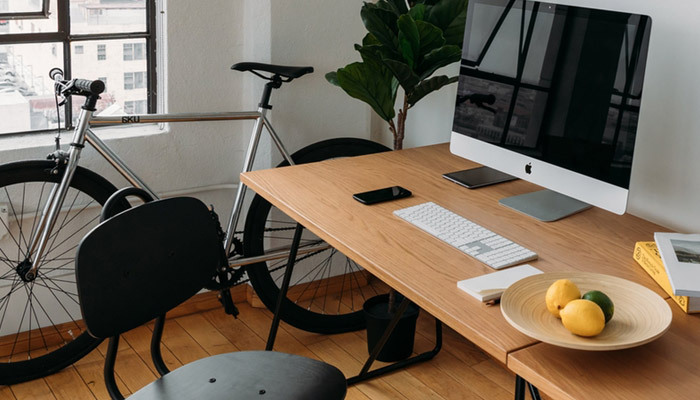 Despite what you may have heard, it’s not all about working from bed and taking Skype calls while still wearing your pajama bottoms. Building a successful career when self-employed involves carefully polishing your professional image. Crafting healthy relationships with your clients is a good start, but it may not be enough to keep your small enterprise going. To grow your business, you need to actively put yourself out there and pursue new leads. 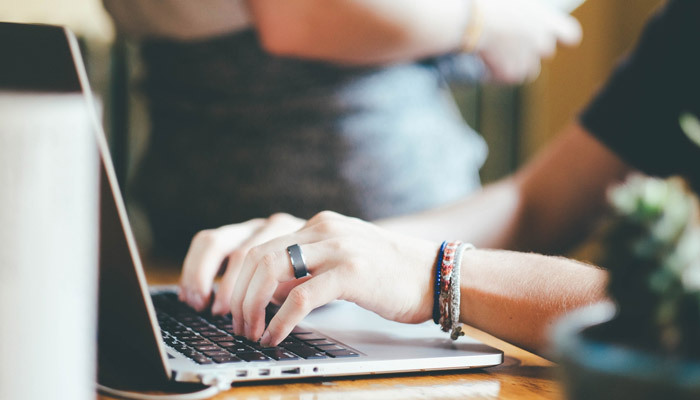 Networking isn’t just a buzzy and overused business term; when you’re a freelancer, it’s a necessity. Attending conferences and industry events is a great way to meet potential clients and dazzle them with your professionalism and expertise. Handing out high-quality business cards will ensure they remember your name and are more likely to connect with via e-mail or LinkedIn later on. Everyone has smartphones nowadays, one might think. Isn’t it easier and cheaper to just add a new contact to your phone on the spot? 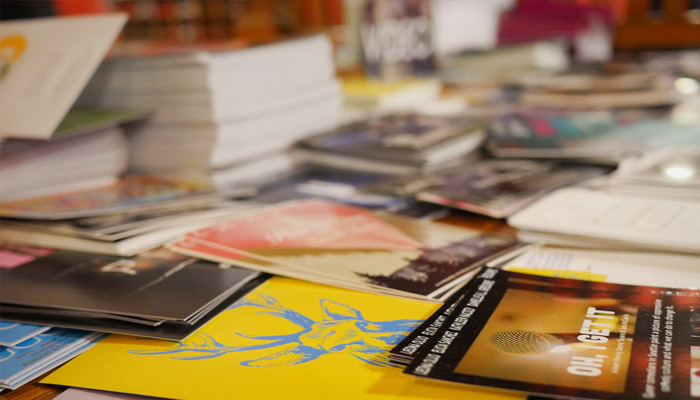 Business cards may be old-school, but they help people connect on a deeper level. You’re more likely to build a genuine connection with someone while engaging in eye contact and actual conversation before eventually handing them a business card and promising to follow-up. Swapping contact information digitally may be convenient, but it’s impersonal. Plus, business cards are an extremely effective direct marketing tool. They showcase your personal brand and reflect who you are as a professional. You can encounter potential clients at any time, whether you’re attending a seminar or enjoying happy hour at the local pub. Always carrying business cards ensures that you will never miss an opportunity to make a positive first impression. Convinced on how important it is to invest in high-quality business cards? Here’s the good news: you don’t have to hire a designer to help you out. There are plenty of websites that allow you to personalize custom designs based on your particular needs. Not only that, but they take care of printing and shipping too. Here's a quick look at five of the best. 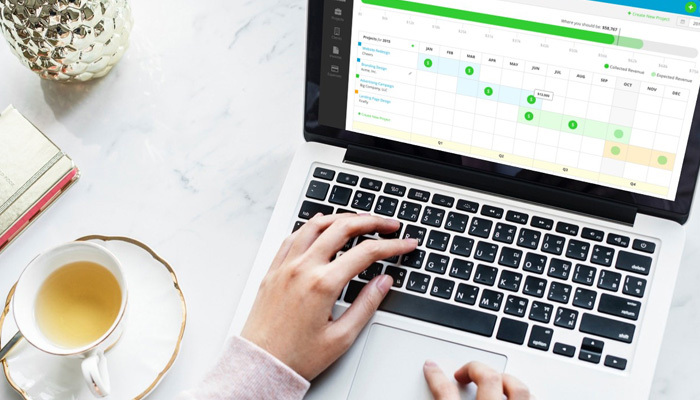 Great design can work wonders for freelancers, and Moo knows how to help customers take advantage of that. The company offers high-quality business cards and a wide range of other promotional business materials, in case you’re looking to bring your offline marketing to the next level. You can choose between classic cards printed on high-quality paper or luxe business cards with premium design elements like gold foil and spot gloss. They also offer NFC (Near-Field Communication) business cards, each with its very own NFC chip embedded to instantly share your website or portfolio. 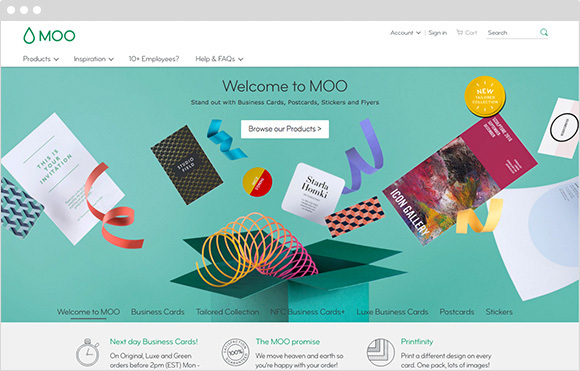 Moo allows customers to choose between several designs and customize their cards via an extremely user-friendly web app. You can personalize everything from the font, images or text. Moreover, the company offers great customer service, while their printing and shipping are very fast. If you’re looking for great quality at accessible prices, Moo may just be your best bet. Prices start at $19.99 + shipping for 50 cards. 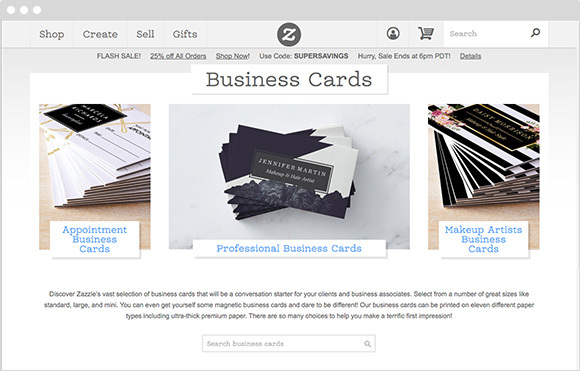 The main appeal of Zazzle is that they offer a plethora of premade business card templates, so you can pick one that stays true to your personal brand. Zazzle’s templates are especially appealing if you don’t have a logo yet, as you can browse through hundreds of designs until you find something that speaks to you. They print on eleven different paper types, including ultra-thick premium paper. You can pick between large, standard, and mini business cards. What really grabbed my eye when browsing their site was that they offer magnetic business cards, which will go a long way in helping you stand out from the crowd. Whimsical and professional at the same time. You can customize your designs via a web app, but it’s less user-friendly than Moo’s. However, it does the trick. Prices vary depending on the type of cards you order, but they’re usually somewhere around $20 for 100 cards. The company is constantly running promotions, so keep an eye on their site for potential discounts. If your budget is low, VistaPrint is your best choice. They offer economy business cards for as low as $5 for 100 cards, but this offer only applies to a few basic designs. If you’re looking for something fancier, there are still plenty of affordable options you can consider, with prices starting from $16 for 100 cards. Special features include ultra-thick paper, metallic finish, raised print, and spot gloss. 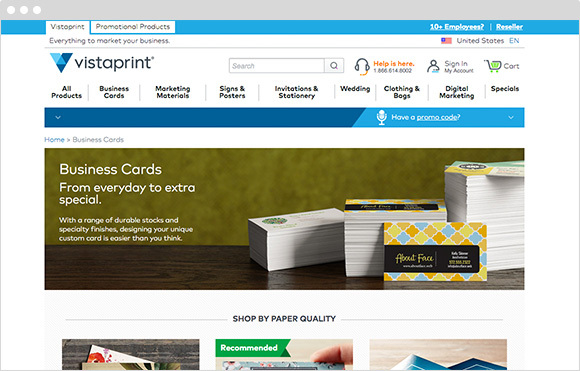 You can customize your cards as the site offers a very user-friendly experience. If you already have a design, you can upload it with ease. 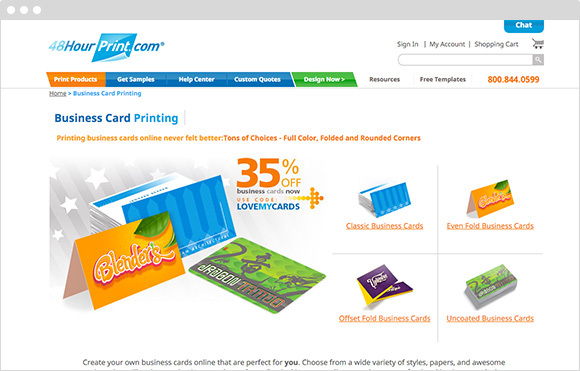 Another great thing about VistaPrint: the company offers plenty of discounts and special promotions. You get 10% off when you refer a friend, you can use promo codes for significant discounts, or you can order a larger quantity of business cards at a lower price. They know how to take care of their customers, and it really shows. The main appeal of 48Hour Print is the quality of their business cards – the end product truly looks great, printed on high-quality paper with brilliant colors. Customers can choose from a wide variety of styles and papers, so you can make sure that the business card reflects your personal brand. Special features include gloss coating, UV coating, rounded corners, and tent-fold cards. Your order will arrive within two business days, which is great if you’re in a hurry. Prices start at $23.00 for 100 cards, but the site often runs promotions, so you have a high chance of scoring a discount. You can also request a custom quote if you’re looking for something special – like a die cut or funky fold. The downside? There are no premade templates to choose from. You will have to upload your own design, which can be tricky if you’re not well-versed in Photoshop or InDesign. No worries, though, there’s a way around that. 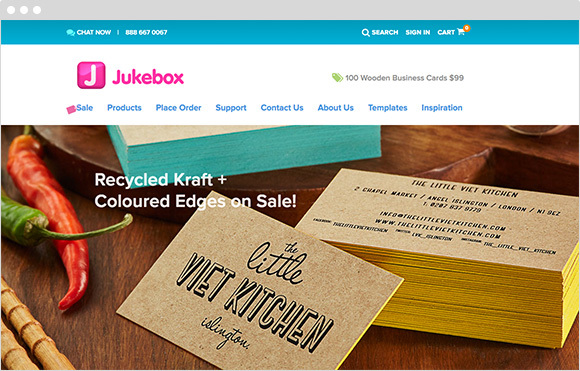 Canva is a user-friendly online app that lets you design marketing materials – including business cards – for free. You only pay if you use their premium design elements ($1 per element); however, there are tens of free business cards templates to choose from. It literally doesn’t get easier than this. JukeBox offers a wide range of creative products, so you can guarantee that your business card will stand out from the crowd. You can choose between gold, wooden, sparkle, or even cork business cards, among many other styles; and they all come with superior color and print quality. The company also offers matte or gloss finish, as well as foil or pearl coated cards. You can easily browse their site to familiarize yourself with all the amazing products they offer. Moreover, JukeBox provides customers with access to pre-built designs, so you can create your very own business card in a matter of minutes. Prices start at $46 for 500 cards. If you’re in a hurry, the company offers same day business cards as long as you place your order by 9:30AM PST. Business cards help you make a memorable first impression. Have you ever had someone write their contact information on a cocktail napkin before handing it to you? If that’s the case, you know how unprofessional and unprepared they appeared. Don’t make the same mistake. Creative business cards can turn potential clients into active customers, so they remain a smart investment. At least for now.